You may have noticed the dawn chorus increasing in volume and variety of calls as songbirds fly in from their southern wintering grounds to establish their nesting territories. 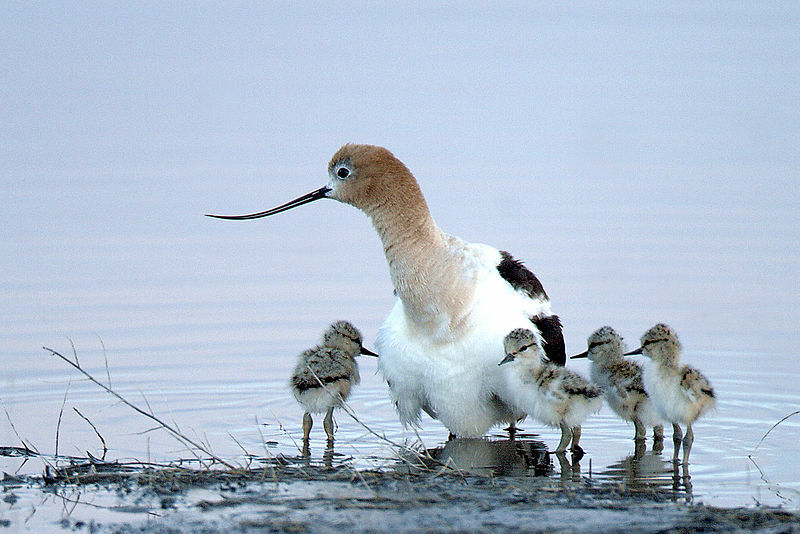 If you’re out in the evening where it’s quiet enough, you might hear high overhead the weeping calls of shorebirds migrating away from the Bay to their northern nesting grounds in the tundra or prairie. This is one of the best times of year to observe the turn of the seasons with lots of different birds migrating in, out, and through the Bay Area. On Saturday, May 9, the Cornell Lab of Ornithology’s eBird.org will host the first-ever “Global Big Day” (GBD) where bird watchers from all over the world are encouraged to survey birds and log their findings on the website. Pat Leonard, a spokesperson for the Lab, said the GBD is based on the traditional idea of a bird watching “Big Day” -- an effort to identify as many bird species as possible in a 24-hour period. So far at least 75 countries are known to have teams participating. The Lab’s Team Sapsucker will be collecting bird data in Panama, an important crossroads between North and South America for bird migration. 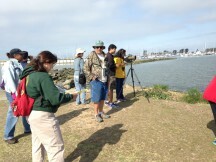 Bird observation checklists will be available to view in real time as participants submit their bird data online. Wednesday the total number of birds seen around the globe will be available for viewing. 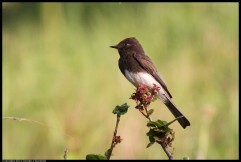 The eBird website was launched in 2002 by Cornell University and the National Audubon Society. To give you an idea of its popularity, eBird had over 7 million bird observations reported for the month of April this year. This citizen science initiative allows both recreational and professional bird watchers to contribute vital data that helps inform land use managers, educators and scientists about the health of our ecosystems and bird populations. There are fascinating models available on the website, too, that can help visualize the movement of birds during migration based on the data. “Global Big Day” has a goal of uniting bird watchers to “work as a single team of birders around the world, united through eBird, and working towards the common goal of understanding and conserving the birds that we all love,” according to the eBird.org website. Leonard added that, “A special event like this takes advantage of the people-bird connection to expand the scale of a ‘Big Day’ and provide baseline data that can be used to compare results from future counts.” As more data is gathered, there will be a better understanding of the many ways our planet is changing and how those changes impact the biodiversity of the ecosystems around us. Take some time to get outdoors and enjoy these lengthening days and the changing seasons. Even beginning bird watchers can participate in the “Global Big Day,” so consider contributing to the effort from your backyard or local park for as little as a few minutes time to the whole 24 hours.